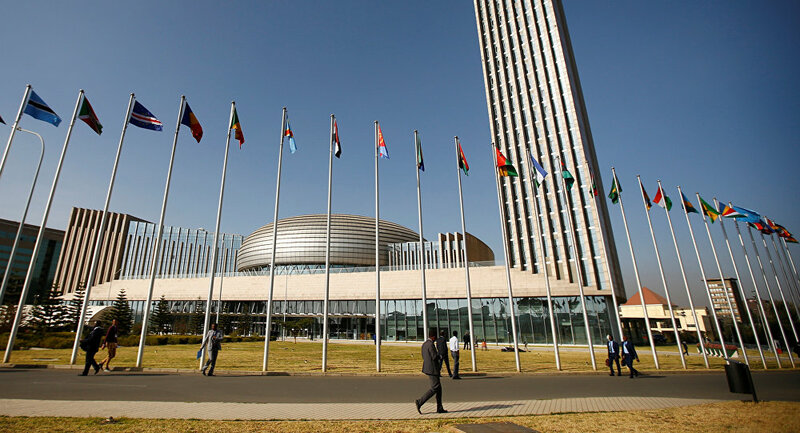 BUENOS AIRES (Sputnik) - The Venezuelan Foreign Ministry said that the African Union had expressed its support for President Nicolas Maduro amid the escalating political crisis in the country. "Deputy Chairperson of the African Union, Thomas Kwesi Quartey, has sent a message of solidarity with the people of Venezuela and of support for constitutional president Nicolas Maduro," the ministry wrote on Twitter on Wednesday. The message had been handed over to the Venezuelan authorities through the country's ambassador to Ethiopia, the ministry added. Earlier in the day, Uruguay's Foreign Ministry issued a statement on the upcoming international conference on the current political crisis in Venezuela, which is to take place in Montevideo on 7 February. The initiative was suggested by Uruguay and Mexico. "We and the Spanish government share the call for dialogue between the [Venezuelan] sides. I believe that we have agreed that we can engage in this [process] if it is necessary in order to make both sides of the conflict sit down and maintain dialogue without any conditions," Obrador told reporters after his meeting with Spanish Prime Minister Pedro Sanchez on Wednesday. On Wednesday US President Donald Trump spoke to Venezuelan opposition leader Juan Guaido, reiterating the US' support for the opposition's "fight to regain democracy". Last Monday, mass protests erupted across Venezuela and on 23 January, Guaido declared himself the country's interim president. The UK, Germany, France, and Spain declared on Saturday their intention to recognise Juan Guaido as the country's interim president if Caracas does not announce snap presidential elections within eight days. In turn, Russia, Cuba, China, Turkey and Iran have given Maduro's government full support, with Maduro himself calling Venezuela "the victim of a US conspiracy", referring to US Vice President Mike Pence promising Guaido "full American support" the day before he declared himself Venezuela's new head of state. Maduro also stressed that Venezuela had held legitimate elections and urged European countries to withdraw their demand.